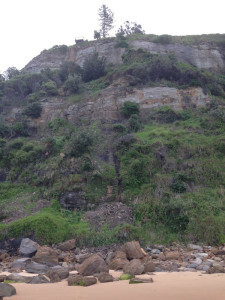 Summary: seeping cliff rising directly above the beach to a Norfolk pine tree and a small lookout. No doubt rain dependent. 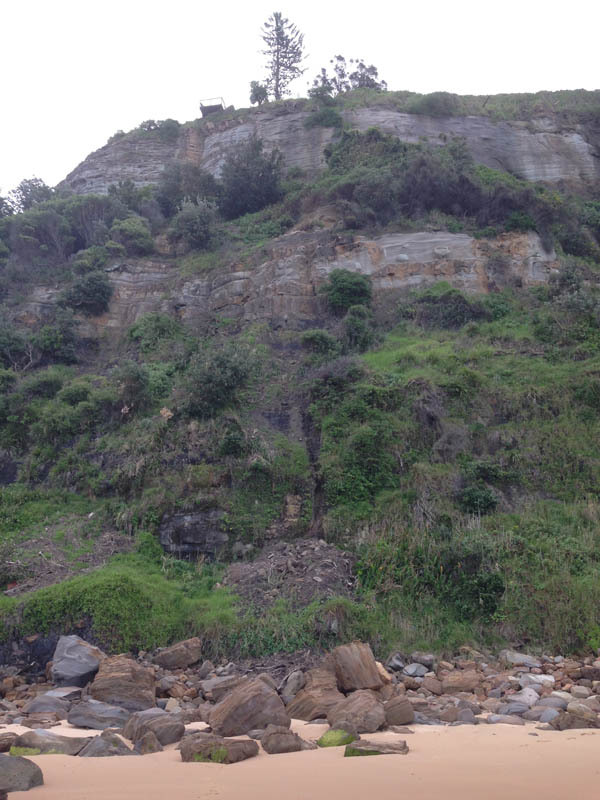 Directions: Continue walking south from B9 to a small beach and the cliff on the right. Point of disappearance: not tempting to ascend.